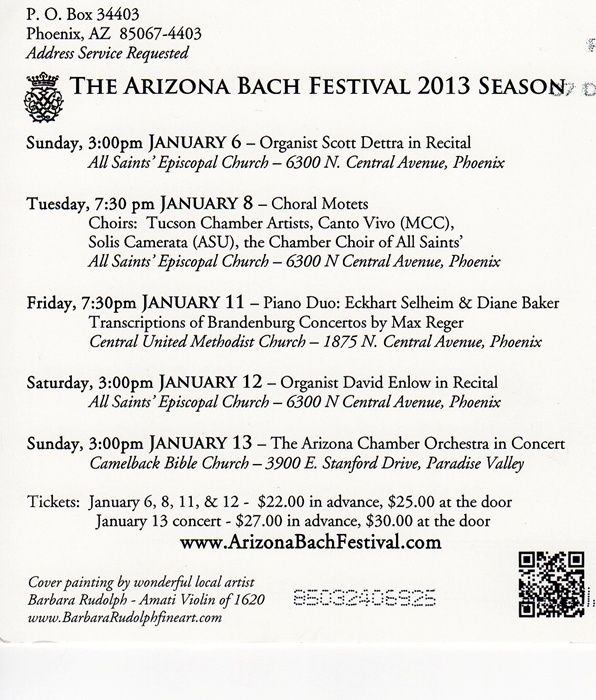 This is the 2013 invitation for "The Arizona Bach Festival." The name of the painting on the cover of the invitation is "Pizzicato." 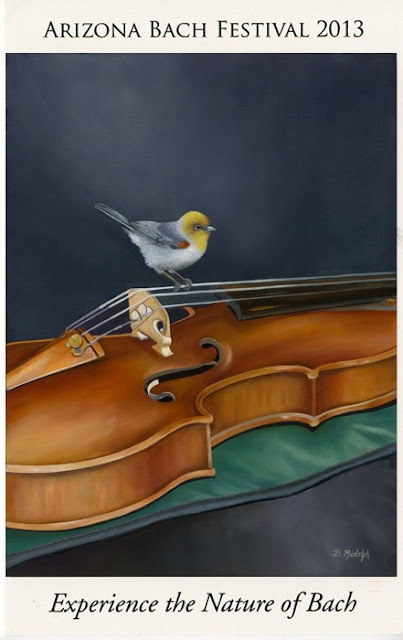 The little bird is sitting on an Amati violin from 1620, which I had the pleasure of painting last year. If you are in the Phoenix/Scottsdale area, be sure and get your tickets to see this wonderful festival which opens on January 6th. I am so honored that they chose my painting to grace the cover of the invitation.